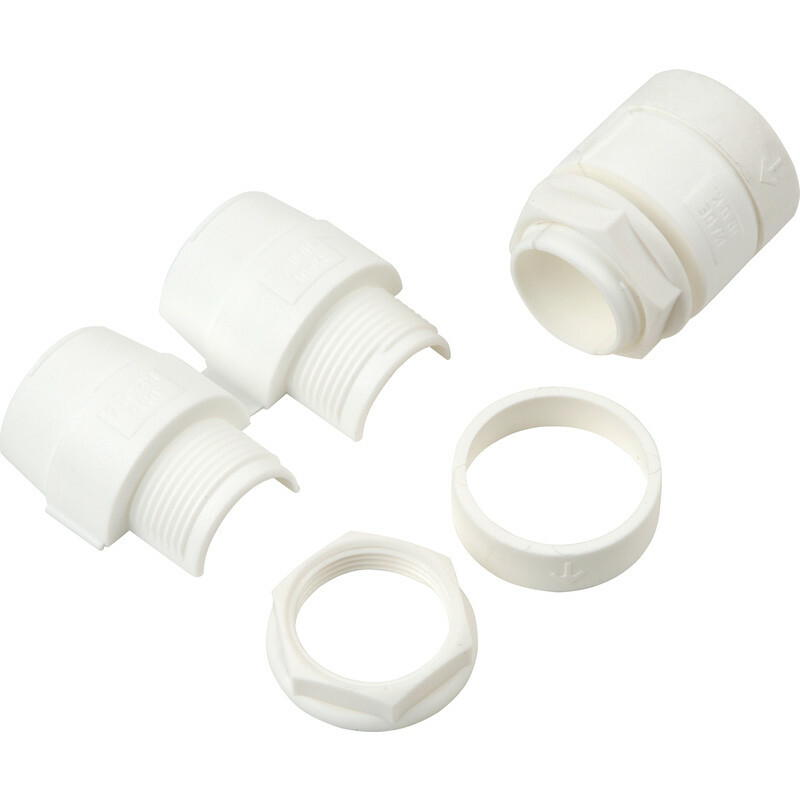 Polypropylene Flexible Conduit Fitting Pack 25mm White (25 Pack) is rated 4.4 out of 5 by 8. Rated 5 out of 5 by YAPH from Use as pipe sheath I used this for sheathing 16mm MLCP pipe to bury in concrete screed. It would of course also work with 15mm PEX or polybutylene pipe (but not 20 or 22mm diameter).